For six years, Wikileaks editor Julian Assange has been effectively imprisoned without charges at Ecuador's London embassy. In that time, two international courts and dozens of respected legal and human rights organizations have decried actions of the UK, US and Swedish governments that confine the journalist in what now amounts to torturous isolation, deprived of space, sunlight, visitors, communication with the outside and necessary medical care. 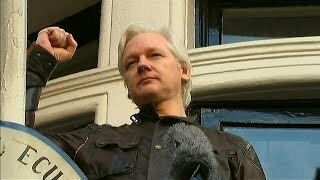 The UK government threatens to arrest Assange if he leaves the embassy for "not surrendering at bail" and refuses to rule out extradition to the US.5 Under a new president, Ecuador has cut off Assange's communications with the outside world. On July 12, 2018, the Organization of American States' (OAS) Inter-American Court of Human Rights (IACHR) sent out a ruling11 that was virtually unnoticed by US news media. The IACHR found "it is the duty of nations to allow for the passage of successful asylum seekers from embassies to the mainland territory of the state that has granted an individual asylum." Did Clinton's Emails Expose CIA Agents?